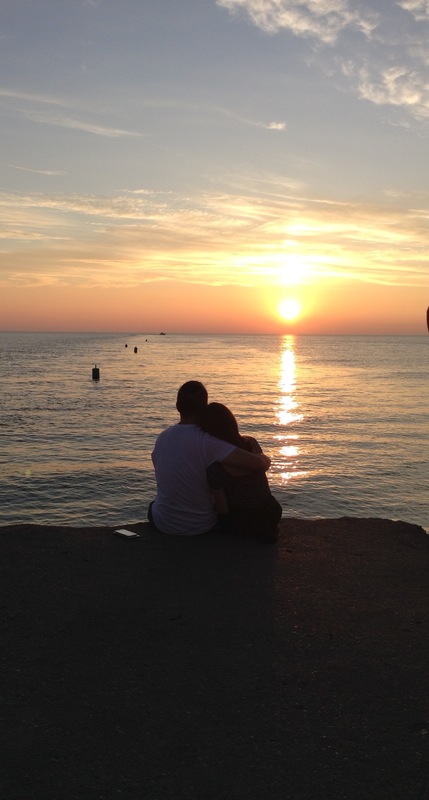 If my husband never planned a vacation I suspect I would never travel. Getting from one side of a maze-like restaurant to the other is enough of a challenge for me. However, Jay has a knack for finding the best places at the best times. Perhaps some generous heavenly spirit guides his selection. We may never know, and it doesn’t matter. I’d rather savor the gift than analyze it. 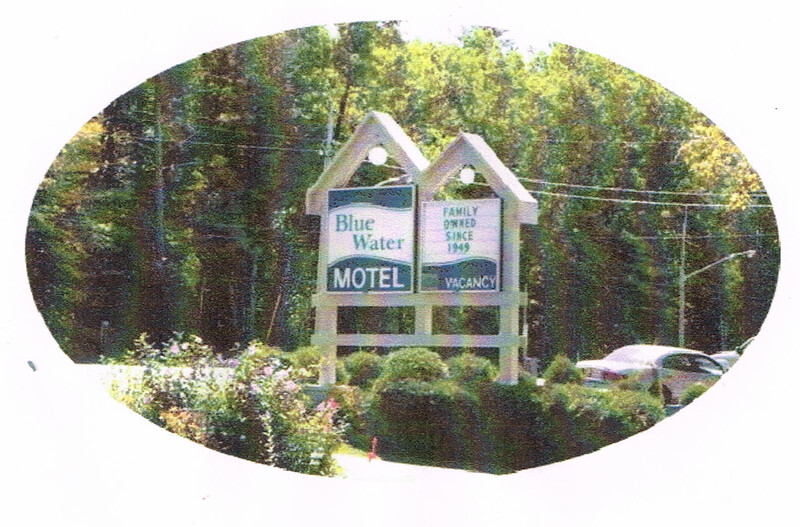 The Blue Water Motel on Route 21 in Grand Bend, Ontario is walking distance from Lake Huron. Pinery Provincial Park is a fifteen-minute drive away. The owners of the motel act as if they were our next-door neighbors, ready to help when we need anything. The guests in other rooms act as if they have known us all their lives, even if we neglect to add eh at the end of our sentences now and then. Yes, Jay and I seem to be the only non-Canadians. I consider this place a plus since we were not looking for wax museums and endless T-shirt shops. Sure, there is a shopping-restaurant-ice-cream strip with an old-fashioned boat-and-pier flavor to it, but it extends along one or two streets. In fact, Jay and I almost missed it. The lake and beach called louder. Jay, the quintessential extrovert, relaxes when he interacts with other people, maybe has a beer. (I am grateful that when he says one-beer he is referring to a twelve-ounce can of Alexander Keith, perhaps two, never a keg.) I love the opportunity to edit without worrying about the phone, preparing meals, or washing as many dishes as one sink can hold—even if I do like to cook. I can focus on deleting stray commas and reconstructing sentences that look as if they were prepared in a blender. My good friend, Nancy Johnson, helps me via e-mail from miles south. Perhaps she and I are separated by an International border and a six-hour drive, but the motel’s free Wi-Fi makes it possible for us to communicate. She finds errors that sneak into what-I-think-should-be-on-the-page. And I smile the width of the room with gratitude. Thank you, Nancy. And thank you, God. You gave me a great friend! I don’t stay indoors all day, however. Canada is far too beautiful for me to make that choice. And this sixty-nine-year-old body needs exercise or it will cramp into one arthritic knot. My shoes bring back souvenirs in the form of sand. In the evening we discover the sunset on Lake Huron. 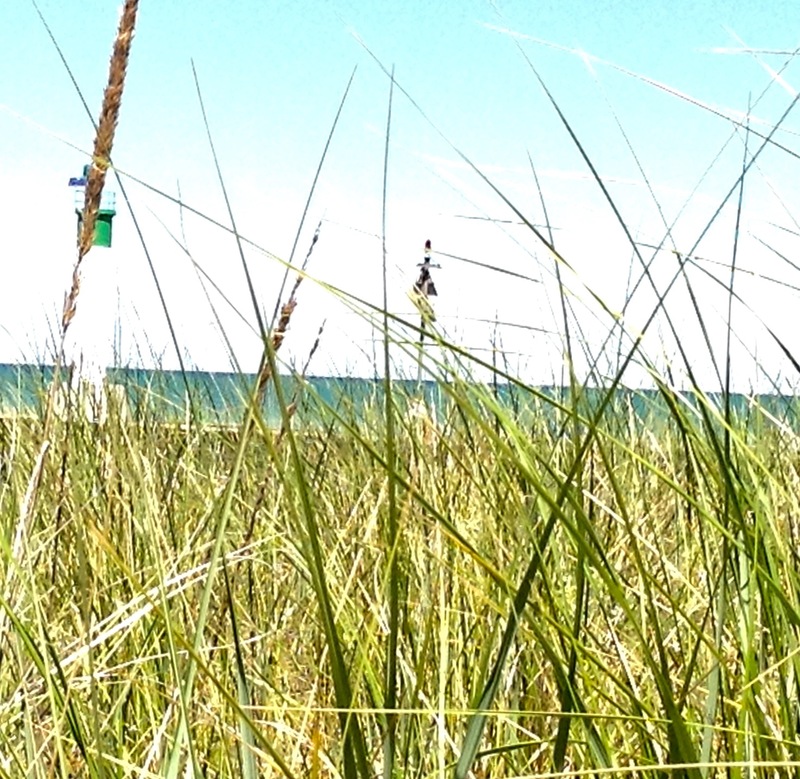 While my hubby may be outspoken and I’m introspective, we both enjoy nature. Neither one of us needs to say much. The horizon takes over the show. And we savor the joy of simply being. I photograph a younger couple from the back. They appear anonymous, unidentifiable, as both old and young watch the powers of nature. It is greater than anyone silhouetted against it . In the silence of a departing day we watch as the sun touches the horizon. Intense light contrasts the darkness, accepts both, and gives birth to color. No journey is perfect, but the serendipity is worth the effort. Peace upon all. And a special thank you to Mark and Laura Boogemans for a delightful stay at your motel. Maybe, if we are lucky, we can visit again next year.